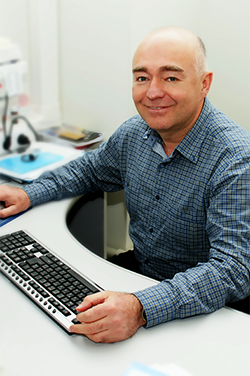 Sergey is a biomedical research professional with two decades of experience in discovery and early preclinical development of drug candidates, both small molecule- and protein-based. He graduated from Lomonosov Moscow State University, received his Ph.D. from Shemyakin Institute of Bioorganic Chemistry, Moscow and did his post-doctoral work at Stanford University with Prof.Lubert Stryer. Sergey held research leadership positions at several US biotech companies and CROs, including Sugen/Pharmacia, Senomyx, Vasgene, ChemDiv and Chembridge Research Labs, being responsible for drug discovery projects involving various therapeutic indications and drug targets, in particular GPCRs and kinases. Sergey is an author on more than 40 peer-reviewed research papers, including many in top-tier journals, and an inventor on 75 issued US patents. Prof. Andrei A. Tolmachev, Ph.D. , D.Sc. Dr.Tolmachev graduated from the Department of Chemistry, Taras Shevchenko University and received his Ph.D. from Institute of Organic Chemistry, Kyiv, Ukraine. In 1991, he founded Enamine Ltd., the world’s leading provider of screening compounds and synthetic chemistry services. 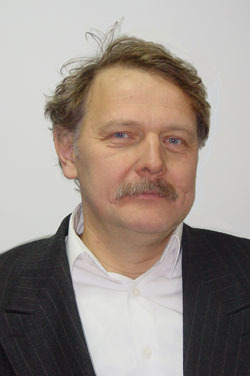 From 2001, he is also a Director at ChemBioCenter, a chemical biology department of Kyiv Taras Shevchenko University. 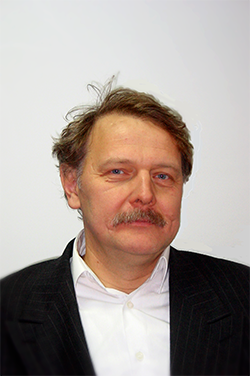 Andrei’s main research interests are in the field of chemistry of heterocycles and elemento-organic compounds (P, Si). He co-authored more than 160 research publications. More than 20 students earned their Ph.D. degrees under Andrei’s supervision.